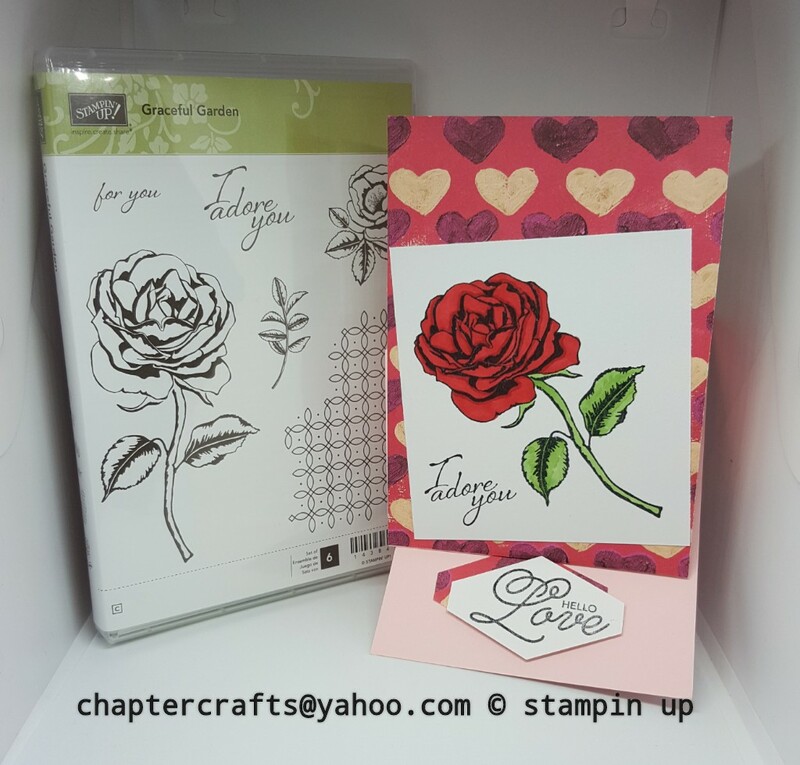 Chapter crafts: Graceful garden tent card stampin up! Hello and welcome back to Chapter Crafts. Today I have made a very simple valentine's card using the stamp set Graceful garden from stampin up! First you need Pink pirouette card stock cut to 11 1\2" x 4 1\8" and score @ 5 3\4" & 8 5\8"
Painted with love designer series paper 5 3\4" x 4 1\8"
Whisper White card 3 3\4" x 4"